Cambodia is a great nation that is still recovering from the atrocities of genocide, war, mass starvation and a regime that devastated the country from 1975-1979. Approximately 33 percent of the population is under the age of 15, most of which are impoverished and orphaned. Children roam the streets selling small items in hopes of making enough money to eat and to help support their families. Education in Cambodia is limited and expensive. The average monthly wages for a Cambodian worker is about $50 a month while it costs $350-$450 for a year of school. Ps.Vanna believes that education is the key to helping poor children live and share better lifestyles. The I Love Cambodia Project has provides free daily English classes, music classes, and computer classes Monday through Friday to the orphans, underprivileged children. Educating and empowering more children in Cambodia will break the cycle of poverty that has hindered the opportunity for children a better life and a productive future. 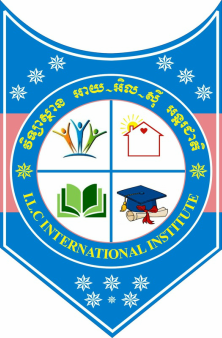 I.L.C PROJECT wants to do more for underprivileged children, Cambodian families and needs your help! There are plenty of ways you can help the underprivileged save the children. We need VOLUNTEER to help teach English, Computer, Music, or fund raise. Donations are essential to the poor children and orphan's survival to help provide food, materials, school supplies and resources to the children. Please go to our PROJECT'S PAGE to view plans for the future of I.L.C PROJECT.